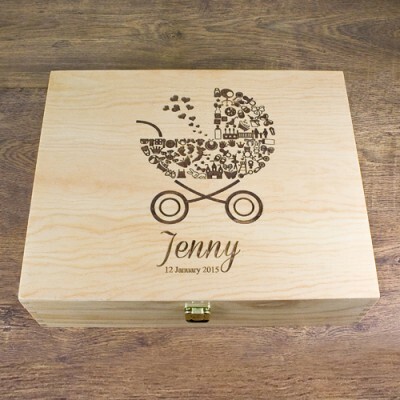 Perfect for a baby girl this adorable keepsake box is a brilliant gift. The pram shape is made up of intricate engravings of all the things little girls like. Each box is engraved and then hand-painted to give a beautiful texture as well as rich colour.